Doing: I’m tapping away on my phone while the babe sleeps, ignoring the curious looks I’m getting from passersby. I admit chilling out in a running car in a carpark must look fairly strange. Wanting: A toasted piece of banana bread wislathered with butter or peanut butter. It’s become a daily obsession and I’m loving it. Also a massage wouldn’t go astray. My best friend convinced me to try an exercise class at the local pcyc, and as a result my legs don’t really want to bend. Loving: These cooler autumn mornings. Living on the cusp of the tropics has its perks, an almost endless swimming season being one of them. But it also means cool, crisp mornings and evenings when you want to snuggle into soft dressing gown are just divine. Wearing: denim shorts and a comfy t-shirt. Mumming and writig from home has its perks, although an excuse to wear a nice dress and do my hair would also be welcome. 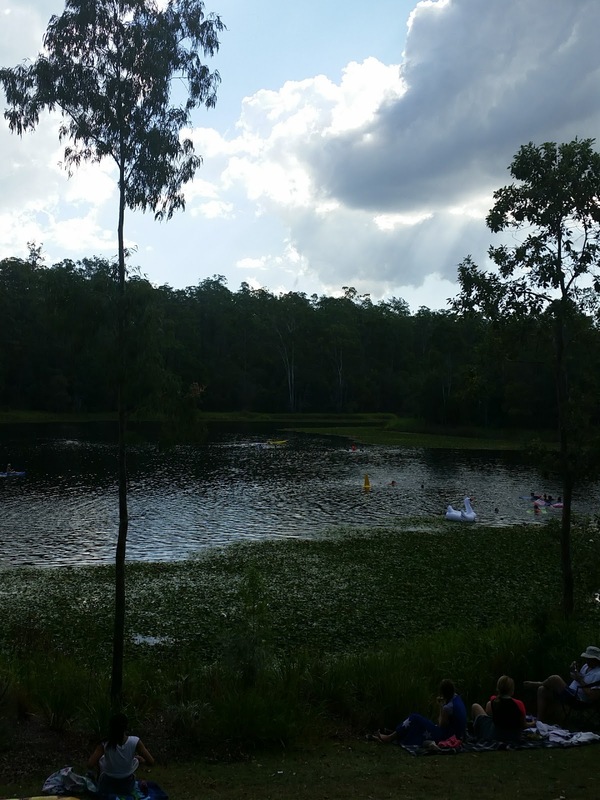 Happenings: Steve and I have been exploring our local area and found anothet awesome, not-so-secret swimming spot at Enoggera Reservoir. It was busy, but the cool water made it worth it. As much as I adore the beach, a waterfall or dam swim are equally amazing. Eating: The last of the summer fruits, homemade Anzac biscuits, roast chicken with orange and thyme. The kitchen has been getting a workout lately. A slow-cooked cinnamon beef may also be in order this week. Drinking: Strong coffee, chilled peppermint tea and lots of water. It is still steamy here after all. Hearing: Lots and lots of classical music. It’s not an urge I’ve often felt, despite eight years of learning the flute, but at the moment it’s what I want. Pretty music, as my lovely grandma calls it, floating throughout the house in the afternoon is pretty ace. Reading: Lianne Moriarty’s The Husband’s Secret. I needed a break from The Dark Tower series and this was perfect. It also provided a few interesting conversations between Steve and I – sometimes it’s fun living with a lawyer. Watching: Seinfeld re-runs. I have seen all the episodes many many times, but re-watching as an adult is adding a new dimension to it.